All businesses require money to get started. Even if you’re working with a bare-bones, one-person startup, you’ll still have to pay money for website hosting, business-name registration and the equipment you'll need (like a workspace and a computer) to run the business. The overall average cost to start a business is around $30,000 -- and unless you’ve been in the professional game or saving up for a while, you probably don’t have that sum to put down. On top of that, your operating expenses may extend well beyond your revenue, especially if you’re trying to scale. Certainly, there are many options for securing capital, but all of them come with potential down sides. 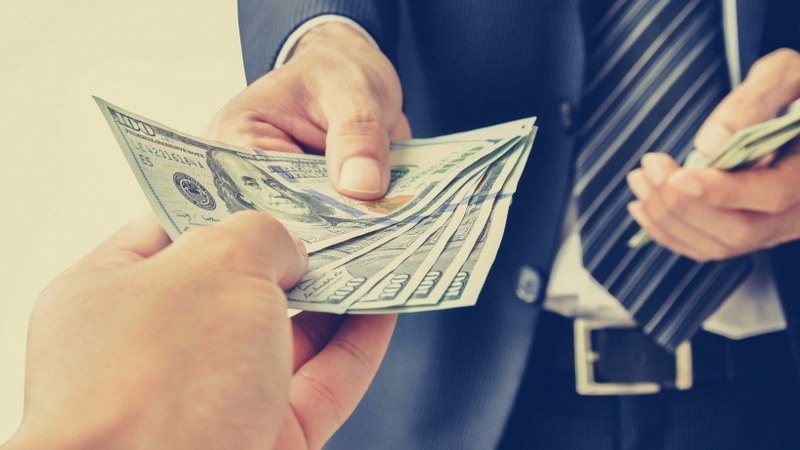 For example, venture capitalists and angel investors would likely be happy to give you an injection of cash -- but only in exchange for a stake in your company. You may be able to secure a business loan, or a line of credit through the business; but if your organization has no provable stream of revenue, banks may not be willing to extend that credit. Don’t make going into personal debt your first choice or first priority. There are plenty of other safer, more reliable methods of getting capital for your business. If you’re making a tangible product, consider crowdfunding, and if not, consider seeking funding from other investors; and at least try to get a business loan. Even if you don't pursue these options, you should know their advantages and disadvantages in depth, and give them a fair round of consideration before passing on them. Accumulating thousands of dollars of debt on top of what you might already owe is a bad idea. Your business probably won’t turn a profit during its first few months -- or even years -- and in that time, compound interest could leave you with far more debt than what you started with. Plus, having high debt could negatively impact your credit score, making it harder to get favorable personal loan terms. Accordingly, it’s in your best interest to eliminate your existing debt as much as possible before jumping into a business that will increase your debt even further. Getting a personal loan means you’re going to be personally liable for paying it off. If your business fails, you’ll still owe whatever money you originally withdrew from the bank. You should also be aware of your business’s true chances of success. It’s tempting to believe that your idea is so good it’s a sure-fire win, but even good-on-paper businesses can fail in real life. Business-failure statistics are often overinflated, but one that's reliable is that only about half of businesses make it to the five-year mark, and many of those are owned by experienced entrepreneurs. Your business may not be as much of a “sure thing” as you think. Take your time shopping around for different loans and options for securing your new credit. Talk to different lenders, and see if you can negotiate a better deal. Obviously, you’ll want to find the lowest interest rate you can -- which likely means avoiding credit cards and instead going with a personal loan. Securing the loan with a personal asset may help you get even better interest rates and conditions, but it’s also going to make that asset liable for repossession, so plan accordingly. Finally, you need to understand that your business could fail, leaving you personally accountable for your new debts. If that happens, what are you going to do? Will you go back to your previous career? Will you stay with a relative for a while so you can make the money necessary to pay the loan back? There are many options here, but you need to plan them out before you take the next step. Stories of entrepreneurs accumulating debt and worrying about their personal finances are all too common. So, try not to get into personal debt unless you know what you’re doing and are prepared for the potential consequences. Personal debt can be a quick shortcut to getting the capital you need to get your business started, but it’s a risky move you should research and carefully consider first. As long as you follow these five rules, and view the situation as objectively as possible, you should remain in good shape.